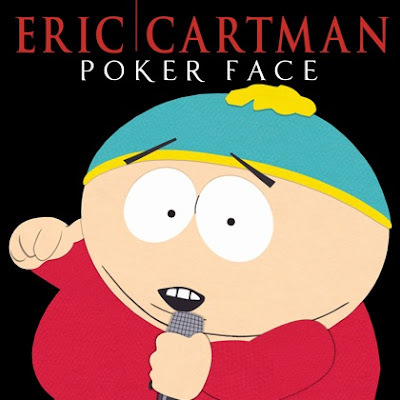 GhettoFob.com: Rock Band to Release Cartman's "Poker Face"
It was announced today that four Lady Gaga songs are being released in the Rock Band Music Store for Xbox 360, PS3 and Wii. And in a classic case of lead-burying, it was additionally revealed that Eric Cartman's version of Gaga's "Poker Face" would also be made available in the store. Of course, as exciting as this is, I'm pretty sure that if Lady Gaga herself ever sings Cartman's cover of her song, it will cause a temporal loop and tear apart the very fabric of space-time.